The Cadena Cultural Center, Ethnic Studies Department, and the Asian & Pacific Islander Faculty & Staff Association invite you to our 3rd Annual Asian & Pacific Islander Forum. The forum includes small group discussions following the keynote address. 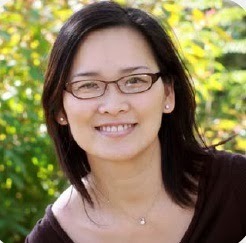 Dr. Nhi T. Lieu is author of "The American Dream in Vietnamese" (University of Minnesota Press, 2011), which explores the popular culture of the Vietnamese diaspora, examining how people displaced by war reconstruct cultural identity in the aftermath of migration. Her new book project titled, "Beautiful Citizenship: Transnational Asian/American Embodied Practices in the Age Neoliberal Capitalism," explores how the strategies of consumption in private and personal choices in fashion and beauty reconstitutes cultural and racial identities while transforming meanings of citizenship through embodied practices.